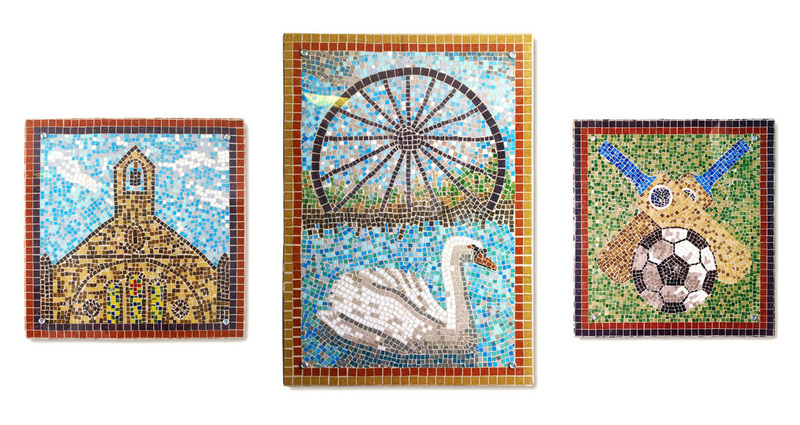 A group of older ladies were involved in making mosaic panels for the café at the Hetton Centre, County Durham. 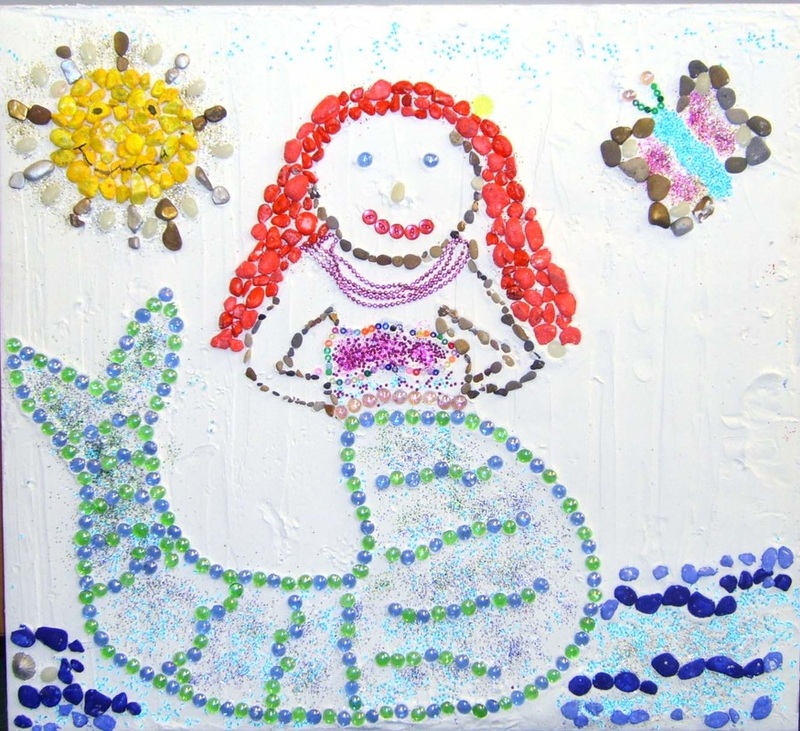 They had never done mosaics before & the images relate to things that are important to them in their community. 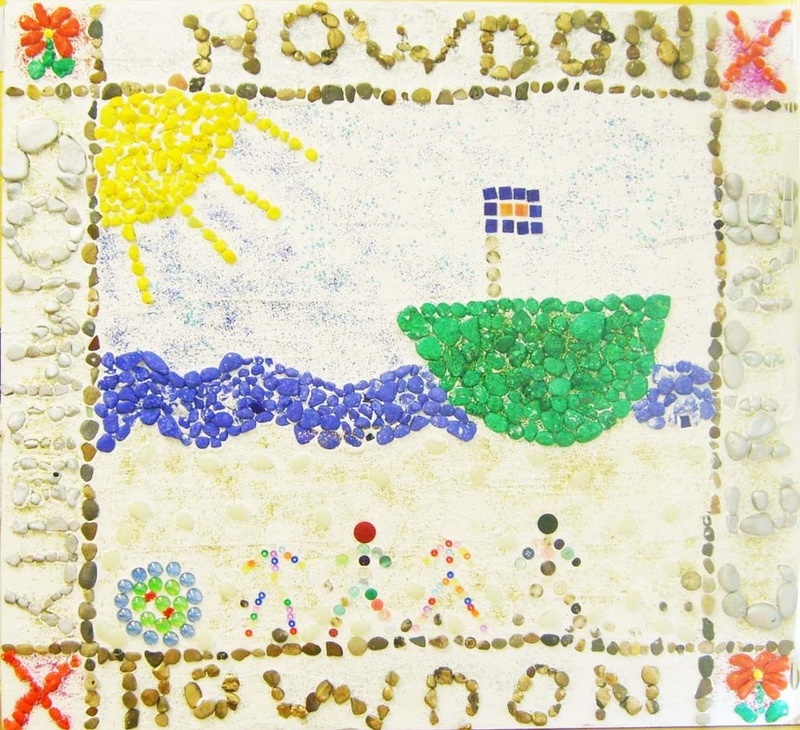 A group of terminally ill patients attended the sessions at Stanhope Hospital, where we made mosaic plant pots. 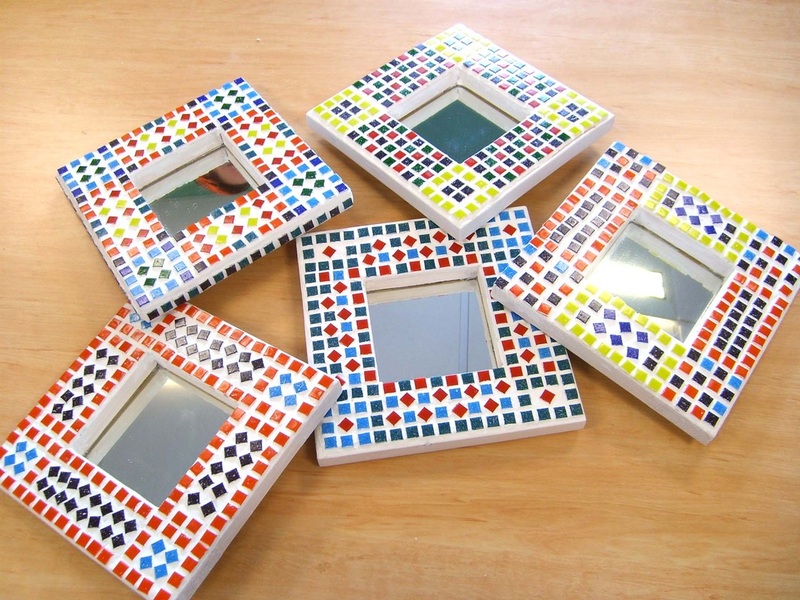 Making mosaic mirror frames with day patients. 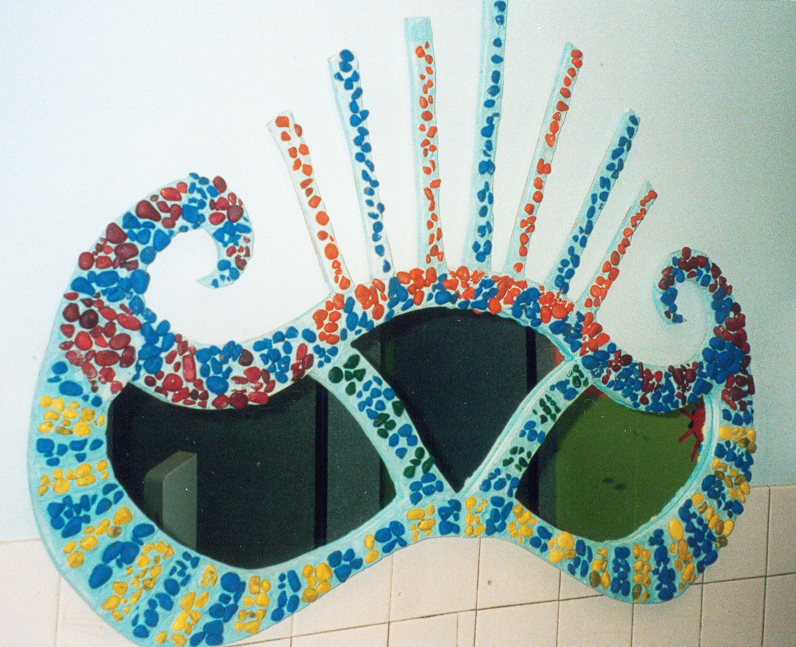 The frame is made from plywood with painted pebbles stuck directly into grout to form the pattern.